Oswego Sushi - R&C Sushi Bar - Serving SUNY Oswego! OSWEGO SUSHI! Serving the SUNY Oswego Campus! Formerly Located in Price Chopper, Oswego, NY 13126. This is R&C Sushi Bar, serving the SUNY Oswego campus with fresh sushi since August 2011. 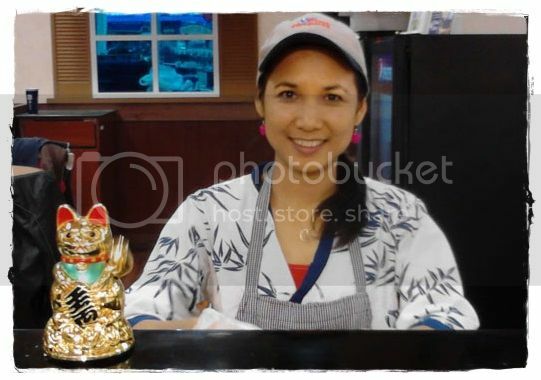 Husband and wife sushi chef team of Rungnapha and Christopher Stevens were also formerly contracted by and located within Price Chopper of Oswego, NY, where we served sushi 24/7, made fresh daily every morning and afternoon 364 days a year (every day but Christmas) from August 2011 through June 2015. We use only the freshest ingredients and serve some of the most popular rolls around! Like our page on Facebook! Spread the word! From August 2011 through May 2015, we were located within the Oswego, NY Price Chopper (at the food court and deli, right next to the pizza). In 2015, Price Chopper Supermarkets decided to change to a more expensive sushi franchise, deposing all Amazing Wok franchise locations - which we were one of - from all of their stores. Due to our expanding family taking more of our time than we could commit to a 364 day operation, instead of signing on with the new franchise, we made the difficult decision to move our operation exclusively to the SUNY Oswego campus, where we have had a great relationship with and had already delivered to daily in that same time span. We still can take orders when in operation. More info soon! We can serve any roll with either white rice or brown rice. We can also serve any roll plain, or with one or more of the following sauces: spicy mayo, sweet (unagi), hot & spicy, and/or both sweet and spicy sauces. Each plate comes with a side of Soy Sauce, freshly made wasabi mustard paste and pickled pink ginger. We can serve your special orders and party needs with special made-to-order platters. Stop in the store or call ahead. Copyright (c) 2011-14 oswegosushi.com and chrusher.com. All rights reserved. | Photos by Christopher & Rungnapha Stevens | Website by Christopher Galletta Stevens | ChrusherComix Studios - CSS Design by FreeCSSTemplates.org.